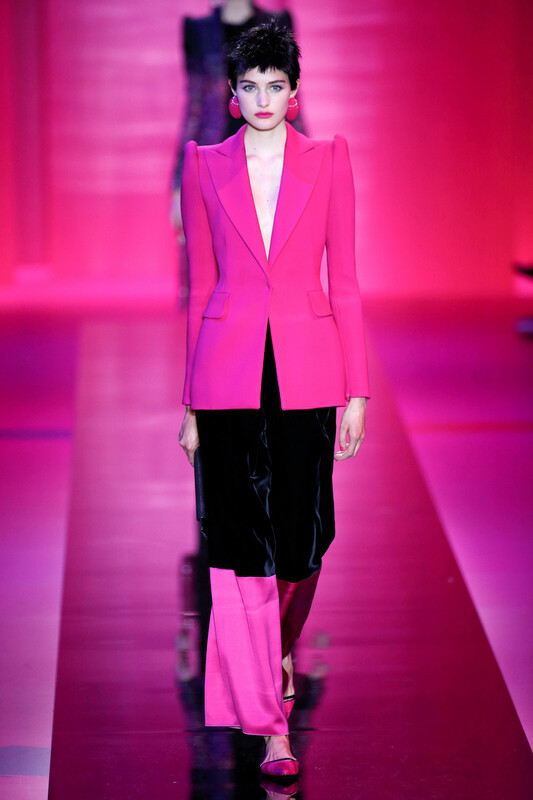 Usually sticking to his winning color scheme of ‘greige’ (grey and beige, usually in the mix with navy and black) Giorgio Armani turned a different page at his couture show today. Turquoise, blue, green, purple and pink formed his disco proof palette. 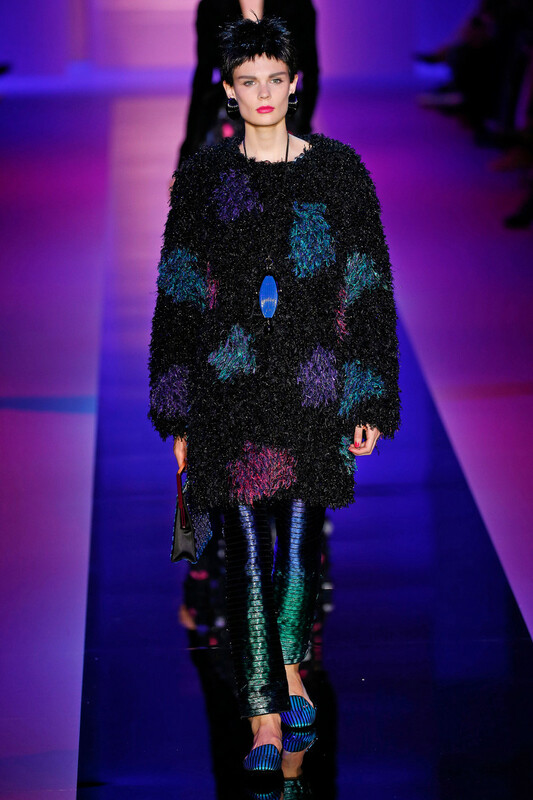 Models sported punk black hairdos and eyecatching earrings to match that theme. We arrived at an eighties party. Strong shoulders, high waisted trousers, bandeau dresses in the mix. 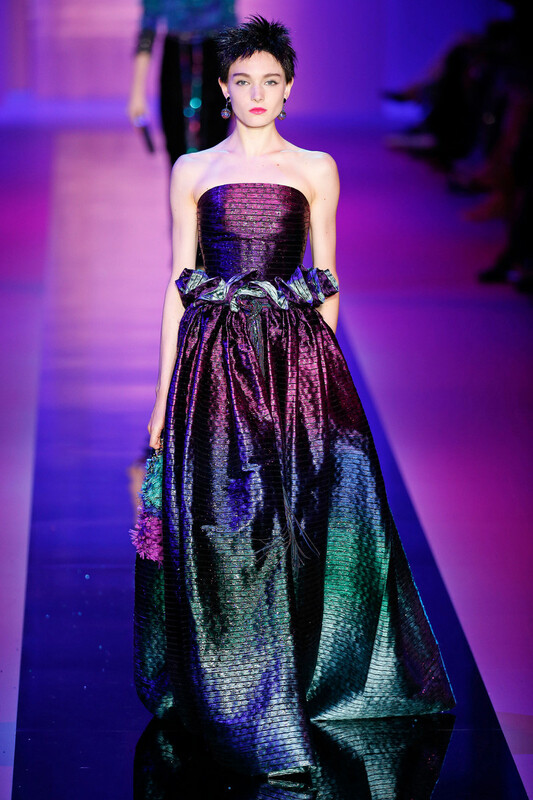 Armani’s choise of materials like velvet, lurex, Swarovski embroidered fabrics kept things modern though. As did the styling; skirts and dresses worn over pants, loafers instead of high heels. 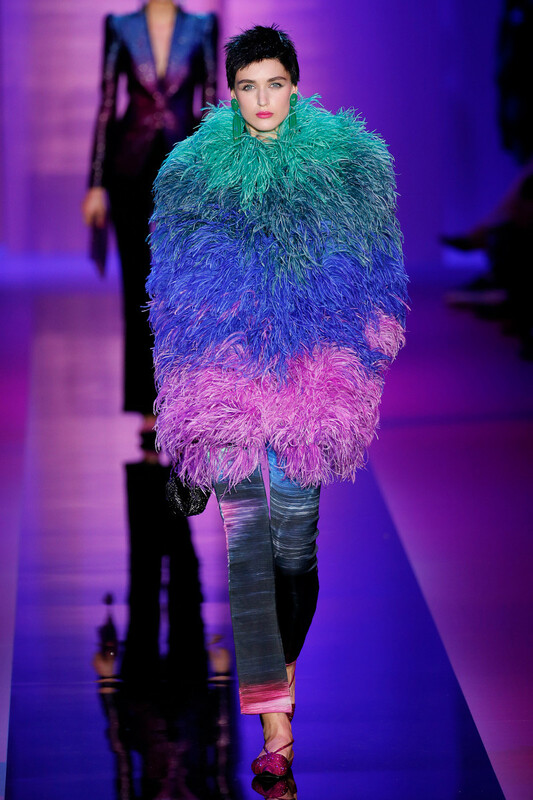 Sequins and feathers added to the luxurious feeling of the collection. 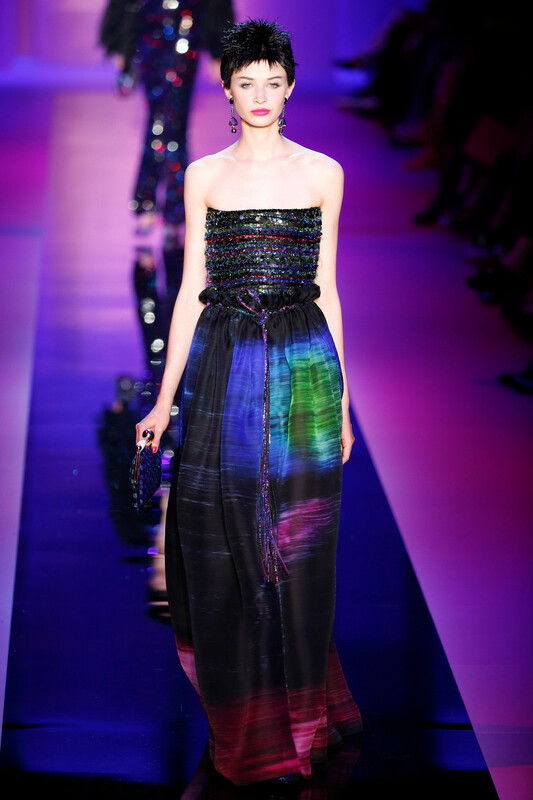 Armani may have taken a risk here, turning away from is ever so chic and slightly predictable haute couture. A daring collection turned out for the better. Shocking.